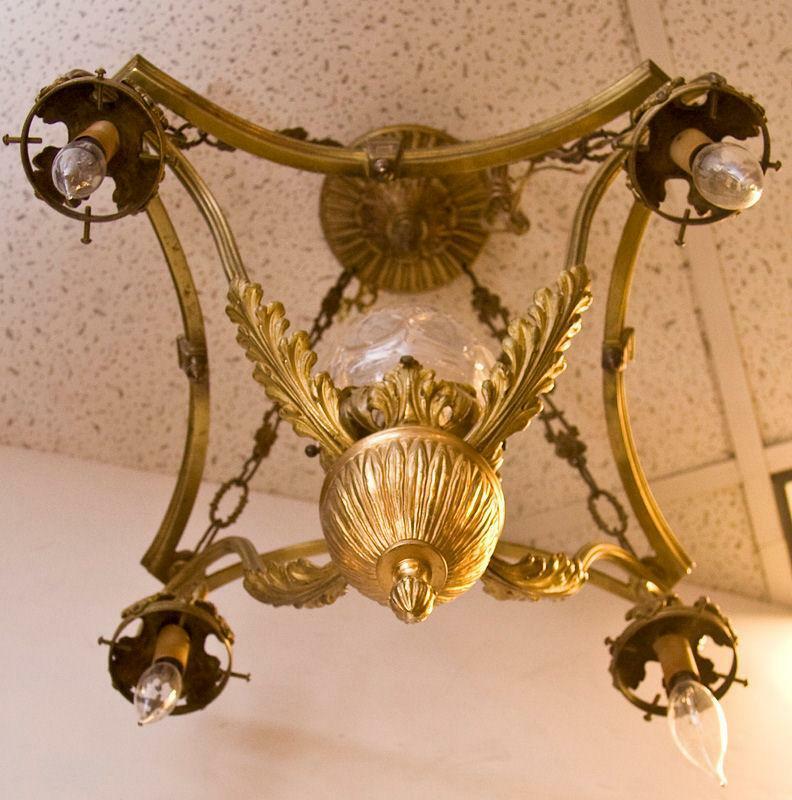 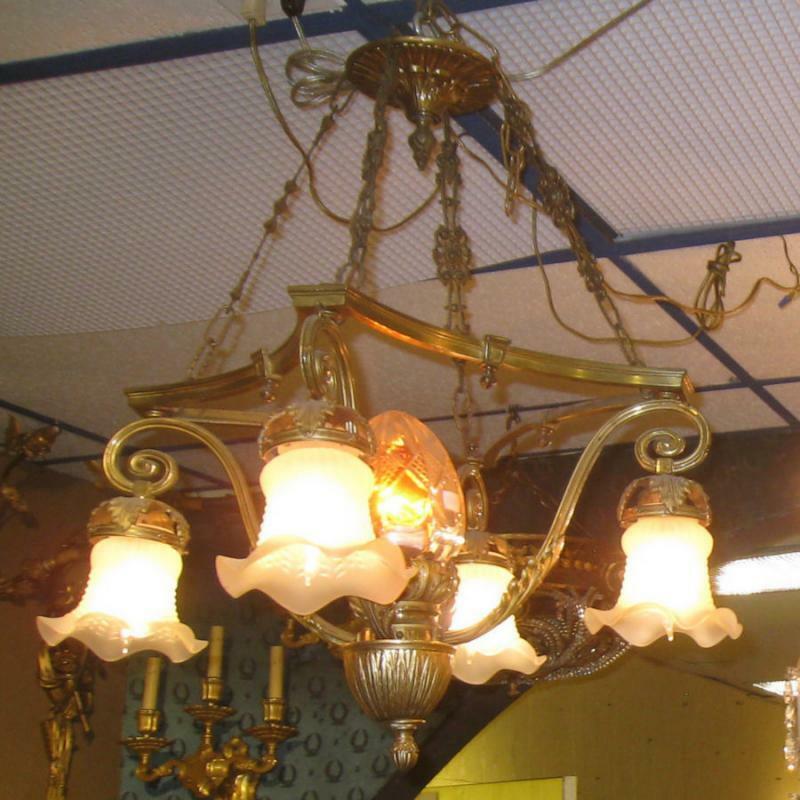 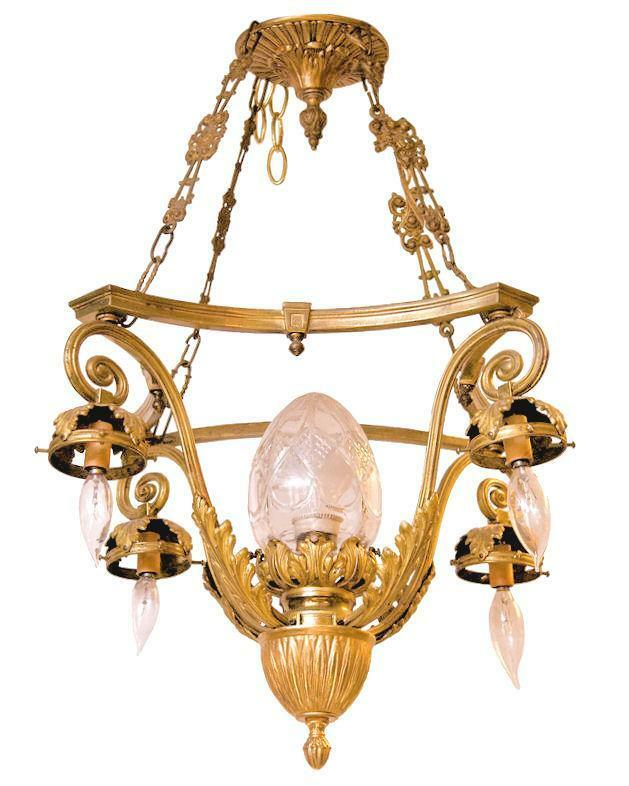 This lovely antique chandelier in the neoclassical style features a square frame suspended from ceiling plate by decorative chain, four electrified candles and center candle with etched clear glass globe. 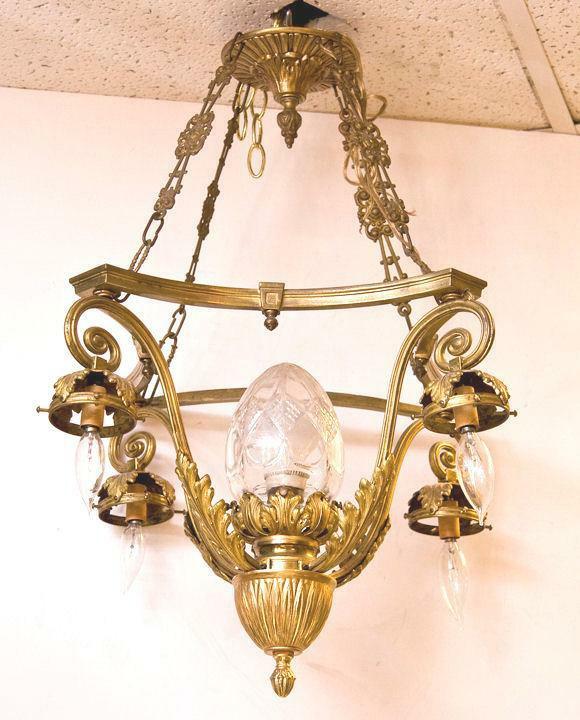 Chandelier measures 26" tall and 21". 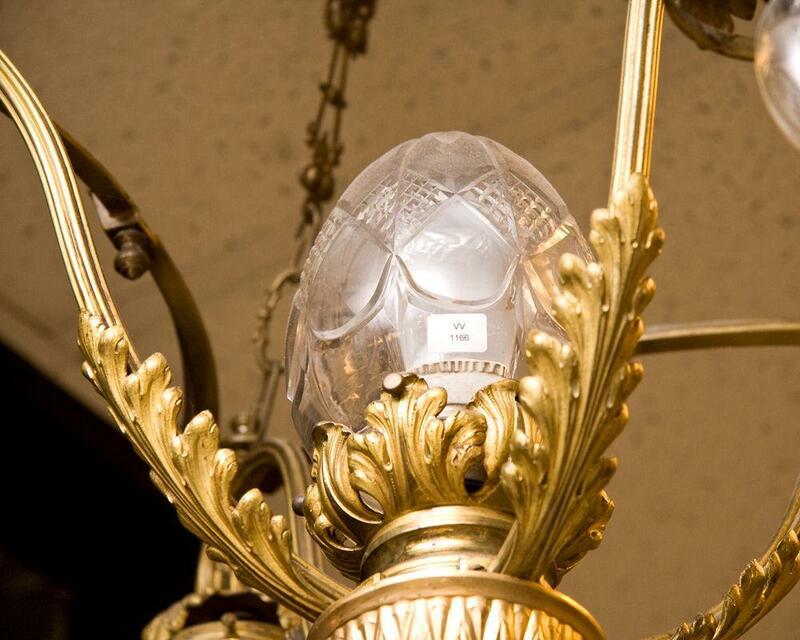 The fixture is wired and ready for installation. 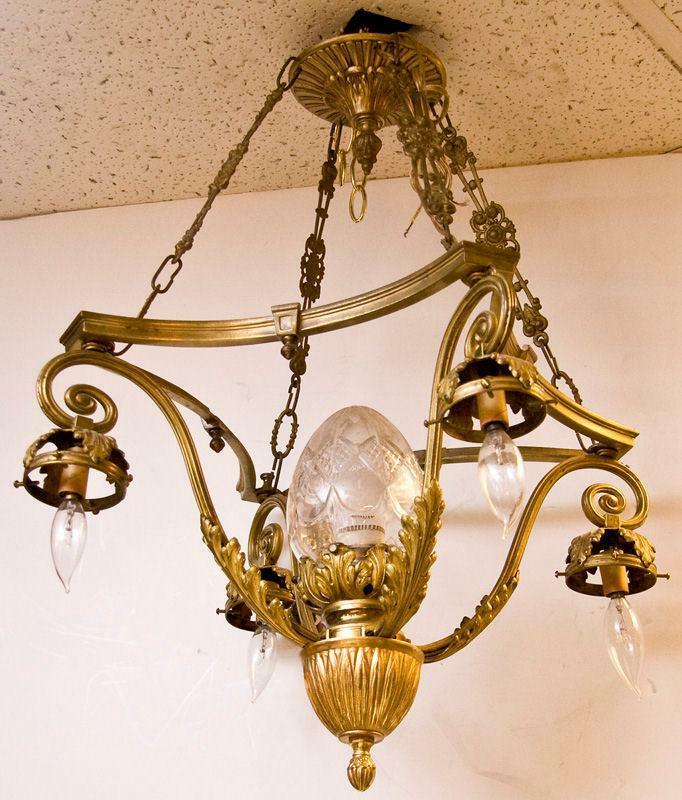 Items Similar To "Antique French Louis XVI English Neoclassical Style Bronze Chande..."